While young and able psychiatrist Dr Pratulya Bhattacharya (Soumitra Chatterjee) is travelling from Calcutta to Siliguri to visit his elder brother, his suitcase is accidentally exchanged with that of Amita Majumdar (Aparna Dasgupta who we all know as Aparna Sen), a college student, going to Kalimpong with her mother to her maternal uncle's. As guaranteed both parties are extremely irritated by the mishap. But, since both the suitcases have the respective addresses of the owners, the belongings are sent back with due care by both parties. Pratulya finds that his box of sweets is missing from his suitcase. Amita finds that someone has carelessly sketched a mustache on the face of her elder brother whose photograph was present in her suitcase. She is royally irked and impulsively shoots off a curt letter to Pratulya. She makes it known that she has a terrible dislike for mustachios and his childish prank has not been taken too well by her. The letter piques Pratulya's interest in this woman. Since he studies people's minds (he also is the owner of a moustache), he gauges that Amita is a spoilt, egotistic, arrogant and temperamental woman. And, it also helps that Amita is good looking (he was quite struck by her attractive face in the photograph that he tampered with). The chapter of the switched boxes does not end so easily. Ratna, Pratulya's neighbour and a very sweet girl, pesters him to come and watch their dance drama, Mayar Khela. Initially reluctant, Pratulya jumps at an opportunity to getting to know Amita better when Ratna tells him she is playing the lead protagonist in the drama. He goes to see the play and is obviously smitten by her. Now, Pratulya really has to make his space in her heart, knowing full well that she hates him for the 'box and mustache' episode. Into the plot comes Sovon (Satindra Bhattacharya), Amita's boyfriend. Though a successful professional, he is always ill-at-ease, low on confidence and is extremely forgetful. He is advised to go and see Pratulya by Amita (is she already finding this psychoanalyst interesting? Why else would she ask her boyfriend to meet this doctor?). On one such meeting Pratulya learns that he is Amita's boyfriend and a near-threat to his romantic quest. So, he pulls up his sleeves and enters the arena for love battle. He crunches numbers, plays with minds and subconscious, takes up the dual role of Pramod Bhattacharya (this Soumitra is oh-so-gorgeous) and saunters into Amita's heart before the girl can even say, "Love". 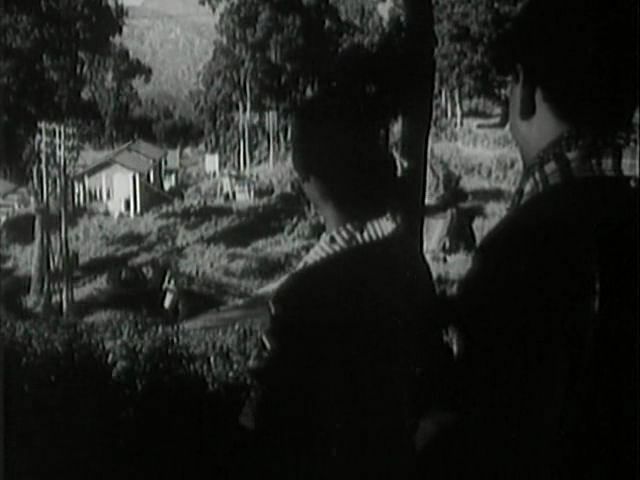 Pramod, in his bid to woo the haughty girl, rushes to Kalimpong to make an inroad via a feigned liking for orchids. Yes, Pramod shaves off his mustache, dresses up in natty gears and nicely makes himself comfortable in the company of Amita, her mother and her maternal uncle (Charuprakash Ghosh), a retired Botany professor. Amita is instantly attracted to this stranger by the strength of his words, his strapping personality and his charm. If she was dillydallying in the case of Sovon, she is now sure that she will not be happy with him anymore. After all, he will not be able to reason with her unpredictable nature, her mood swings that operates with the speed of lightening and her attitude that is far from conformist. Sovon is a simple man with simple desires. Perhaps, a girl like Ratna would make him more happy. So, Amita and Sovon grow apart. But the circumstances that distance them are hilarious. Watch Pratulya butter Amita's ego while he also crushes her fake pride as Pramod. He is making this woman his own by arresting her attention with his own inimitable charisma. Amita will soon be head-over-heels in love with this handsome hunk. What a way to fall in love! And what an exciting and unique proposal! Aparna Sen, I think, is a much better director. Her histrionics are a bit flat. She does play the rich, modern and spoilt Amita but there is a certain stiffness in her performance that is a bit jarring. She is indulged by all in her family and she sometimes does appear very disturbingly vain. She was really young when she starred in this film. Perhaps, she needed more practise before the camera. I wonder how Moushumi Chatterjee would have been for the role? The film is heavy with special moments. The scenes in Kalimpong are lovely. The comedy, mostly situational, is so pleasurable. There is one uncle who keeps seeing spots before his eyes. And even after Pratulya has treated him to recovery, he keeps seeing them for reasons he knows not of. Incredible!!! The best part of this 1970 romance is Soumitra Chatterjee. He is a smooth slayer of the hearts!! Initially a serious and successful psychiatrist, his transition to a love-struck young man pursuing his beloved is so striking. But he is not singing and dancing and being loud. His personality always has an air of sobriety. He is refined and educated and always resorts to reasoning. He knows he has an advantage over everybody because he is the mind-reader here. But he never misuses his power. He is strapping and smart. In short, the best Freudian lover for the sometimes silly Amita. This does sound like a gem. I'm going to look for it. It's true, Aparna Sen has always seemed a stiff actress to me. I saw her in a Hindi film, I don't remember the name, and she was awful, but I thought it may have been because of the language. Moushami would have sparkled in this one. She's so good at rich, temperamental, spoilt girl roles. I think I can easily cut out sleeping from my schedule. Or maybe I can eat while I'm watching movies... kuchh karna padega. Hahaha dustedoff. Exactly my thoughts. Having just discovered the world of Bangla films through Sharmi's blog, these are the only films I've been watching lately whenever I get the time, which is hard coming by. Just finished watching agnipariksha and loved it. This one is A MUST!!!! So, this is not available online with subtitles. Finally, I guess I have to go order the moeserbayer dvd from Induna. I think I can take a break for the weekend (though I did think of writing on another awesome one today). I think I'll just watch it again today and save it for a later post. 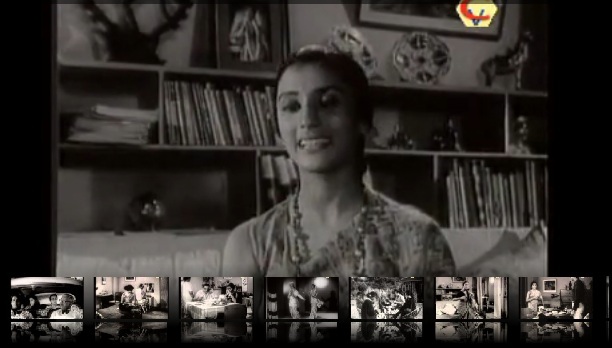 Isn't it awesome that these old Bengali films are so spectacular. Baksha Badal is a tiny gem that is so surprisingly sweet and clever that you will just fall in love with it. I love the term 'Freudian lover'. Regarding the choice of the heroine, Moushumi would not have been able to pull off the complex role of a cerebral, spoilt and inscrutable girl (her spoilt-girl role in Ogo Badhu Sundari was all about uni-dimensional histrionics and she never did have much of a cerebral appeal anyway). What about Sharmila, who the same year (1970) played an elegant and enigmatic lady in Ray's Aranyer Din Ratri? Interestingly, her name in the film was Aparna and she employed intelligence and composure to tie the hero (who else but Soumitra) into knots. @Netdhaba: This could be good choice me thinks. But could Sharmila pull of being sometimes irritating and sometimes indecisive? Here Aparna is sometimes so ill-mannered at times that you feel like reprimanding her strictly. Well, Pramod does it, but very cautiously and cleverly. That puts the lady in her place as well as teaches her a lesson. Ha! Ha!, loved Madhu's comment , you really should go slow, have pity on us. You know something you choose the films I love ,I have seen this one on television and really loved it. 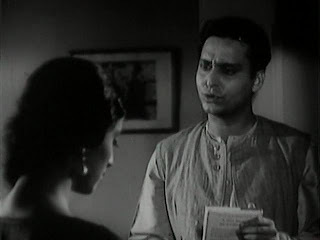 I am Uttam KUmar's fan but I loved Soumitro in this one, there is another film in which Soumitro is superb and that is Ekti Jiban, I hope I have got the name right,he plays the role of the person who compiled the first Bengali dictionary. @Shilpi: Yes, yes you got the name absolutely right. That one was also a good film. What a wonderful and suggestive write-up! I'm in love with M. Ray (is it okay, by the way?)! Anyway, that's another one on my list... It's growing by the day! thanks Sharmi. Yves: Yes, yes, you must watch this. It's lovely! Thanks for the review, you have made me keen to see it, if only for the gorgeous Soumitra! 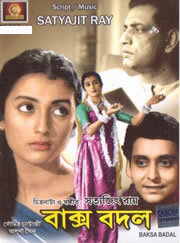 Though I speak fluent Bengali, I have seen only a handful of Bengali films (satyajit ray's classics). Would you be kind enough to recommend a top-10 to see list? Old or new, but not too serious or tragic please..
@Roshmi: I think you will find it in all major DVD retailers! @ Sharmi: Not in namma Bengaluru. Sob! Sob! Sniff! Sniff! Hey! Is that a good movie? I'll try to download it and watch it in my Buenos Aires apartments because I have a great TV! @Christopher: It is an awesome film. But it is in Bengali. So you have to download a subtitled version. Aparna Sen's 'apology my foot!' is a movie classic! @Spamsport: Haha that's a keen observation!! Well, I finally got to see Baksha Badal: very pleasant as you say, and full of a Rayish style, but not 100% Ray, nevertheless. There's something in the gratuitous fun of the movie which I believe wouldn't have been enough for Ray who was so fascinated by human analysis. Somehow I think he wouldn't have been so partial to the doctor's double-dealing: what do you think? Even if it was quite well done, to the point of being quite disquieting! But if Ray had shot the film himself, would he have used this romantic "fraud" as the main subject of his movie? @Yves: Hello. Actually I wouldn't call this romantic fraud. I'd rather say clever ploy. And yes, Satyajit I think would have definitely used the same. He has used comic cons in his films (read Mahapurush) to great effect and sometimes just leaves the audience to interpret rather than doing too much analysis. Also, he has been known to use disguises in several of his adventures. And Yves, some films I must say, are just for the sake of enjoyment and derving fun from rather than delving into too much analysis. BUt yor point was interesting! :) Take care. "Clever ploy" you say Sharmi... Well, maybe it's because I couldn't dream of basing love on anything but straight-dealing then. For sure Ray has used comic cons, as you say, but as the hero? Well, maybe I'm biased! And I agree of course about your point of some films being mainly for the fun of it, including probably in Ray's movies. Chhobi ti amaaro priyo. Peshagoto bhabeo onugato hote hoy. Kintu madam pratulya naam ta kotha theke pelen? Samaptir amulyo aar bakshobadoler pratul ke apnar subconcious ichchha ekti sundar freudio aachharh ghotiye diyechhe. Tobe byaparti promad er noy, promoder. @Anonymous: Haha, thanks for the correction is such a different way! Wonderful review. I love this wonderful gem of a film. What a pure delight it is. One little correction: "Baksha Badal" came out in 1965, not 1970. IMDB and Wikipedia have the wrong year for the film's release, and the error keeps getting propagated.